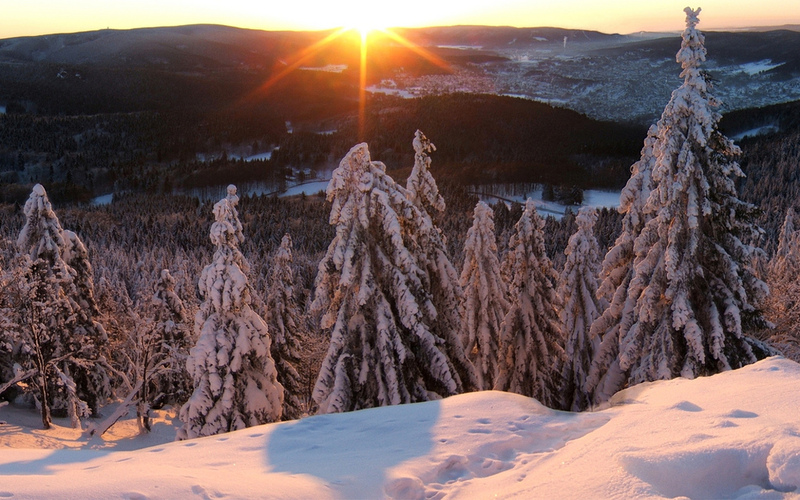 While Britain has spectacularly failed to shift up the season gear from autumn to winter, the massive forests of Thuringia in central eastern Germany provide a beautiful way to get into the wintry spirit (or toilet cleaner label spirit, depending on your disposition). The pine and beech trees are vast and dense, and the 1200-year-old Wartburg castle helps to complete the fairy tale atmosphere. It’s most-easily accessed through the Rennsteig hiking trail, an ancient path that was properly established in the golden age of walking clubs at the turn of the last century. A cycling path was also more recently opened. If you really want to get sporty, there’s lots of winter sports in the area too. Get more information on the Thuringia Forest website (in German).